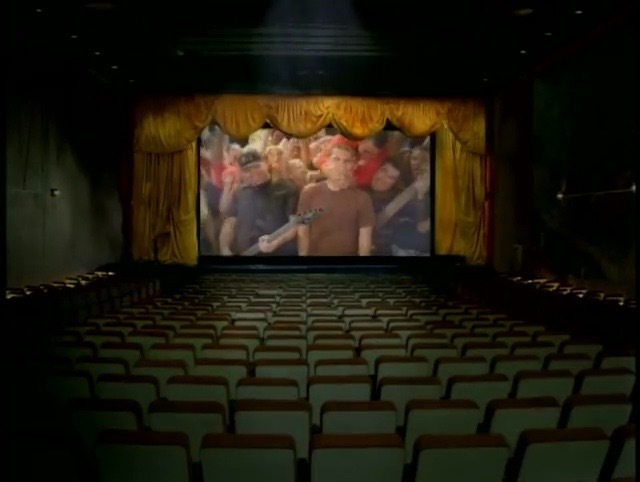 We’ve reached the end of February, and the last version of Movies by Alien Ant Farm. This is the one most people know. Unfortunately, I sat down late to write this, so let’s keep it simple. 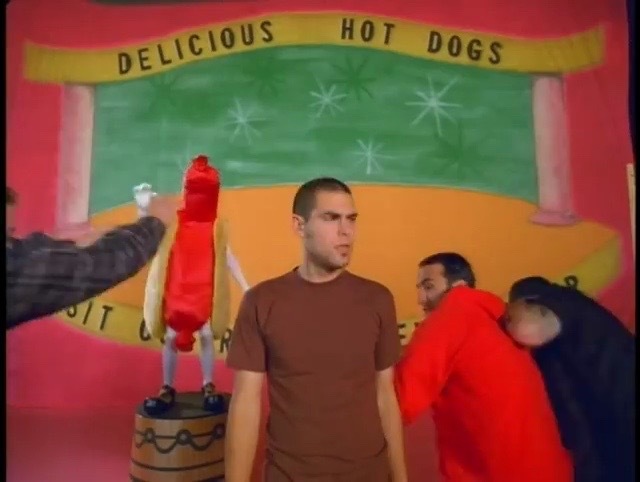 The music video starts off with lead-singer Dryden Mitchell apparently confused by a hotdog jumping around onscreen next to a bun when his just sits in his hand. It must be because that’s not supposed to happen without John Travolta around to sing about Olivia Newton-John. 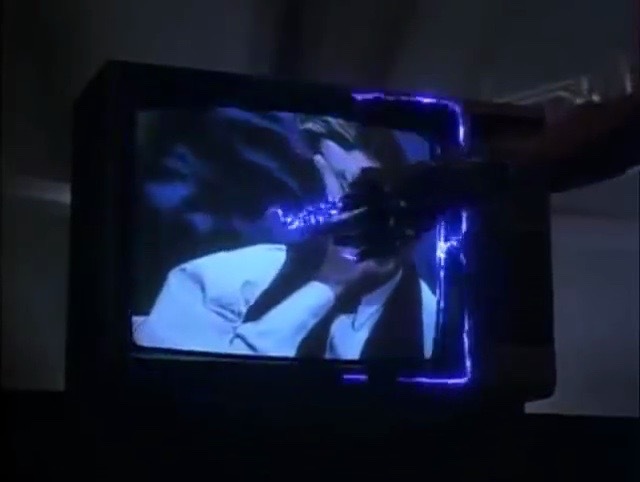 He decides to jump into the screen in order to work in a reference to Last Action Hero (1993). The rest of the band decides to follow suit, and are instantly replaced by every alt-rock band from the time-period. Once inside, they notice that the movie magic is now dead. Now they remind us of how big a fan they are of Michael Jackson–in case we didn’t get that from them covering Smooth Criminal–by referencing Captain EO (1986). However, their reference to Captain EO also features the Italian evil-eye thing that ignorant people think has something to do with Satan, and it pisses of the local Sammi Curr. 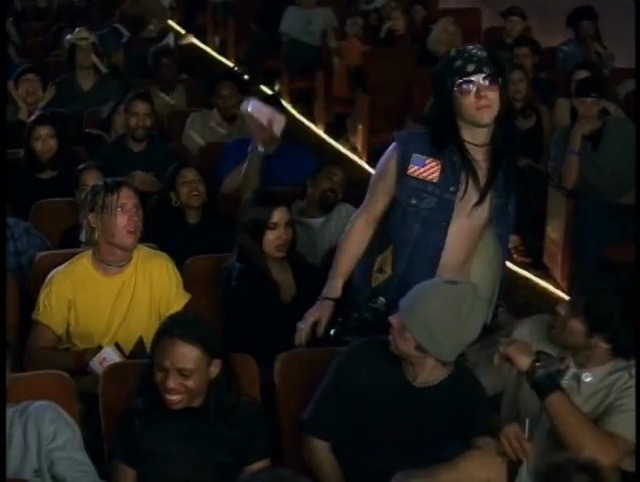 It doesn’t matter that he now dresses more like Axl Rose. 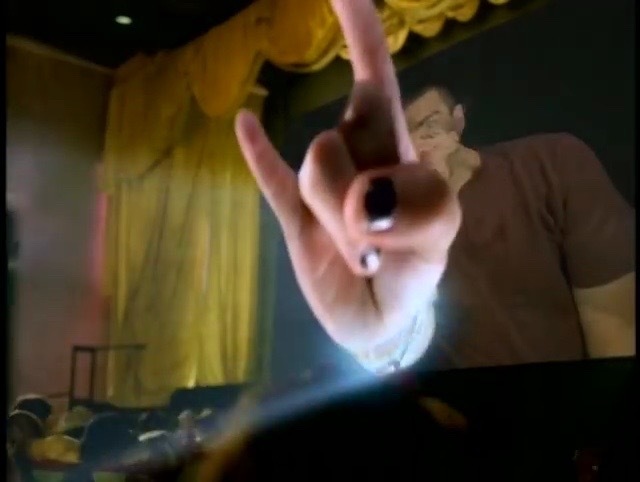 Sammi thinks that he is the only rocker that has the right to reach into or out of a screen. He did it in Trick Or Treat to kill Ozzy Osbourne. 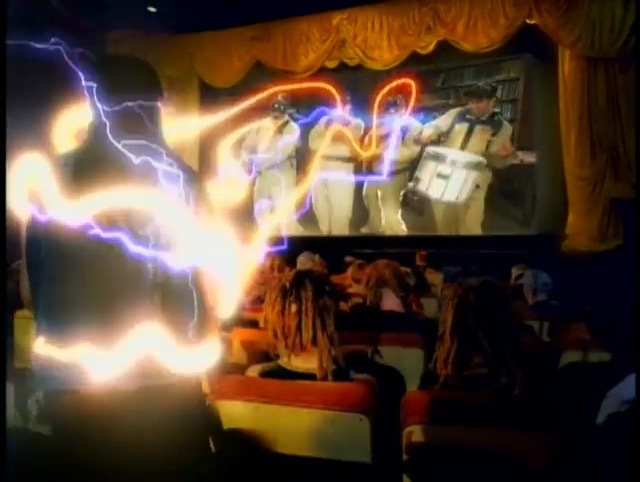 Luckily the band turns into the Ghostbusters in order to deal with Sammi Curr. I’m sure it was also a way of taking a shot at critics of their brand of hard rock/heavy metal. 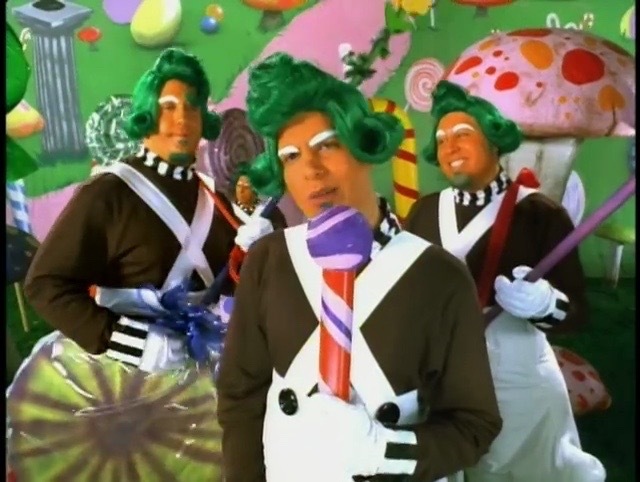 The band performs as themselves for awhile, and brings more stuff out of the screen to remind us of the early-80s 3D craze before turning into Oompa Loompas. 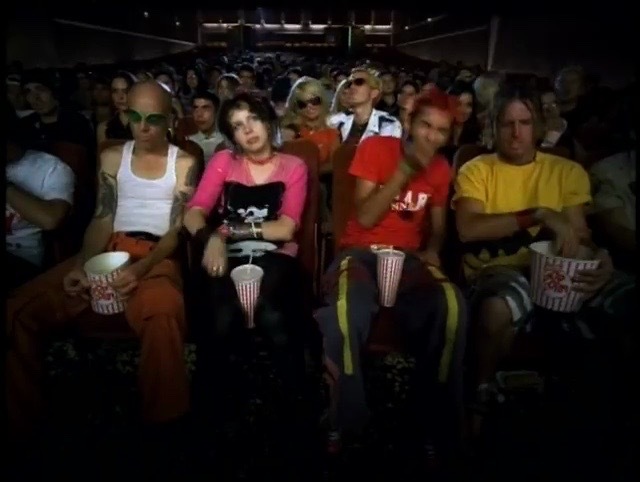 Veruca Salt is the audience. 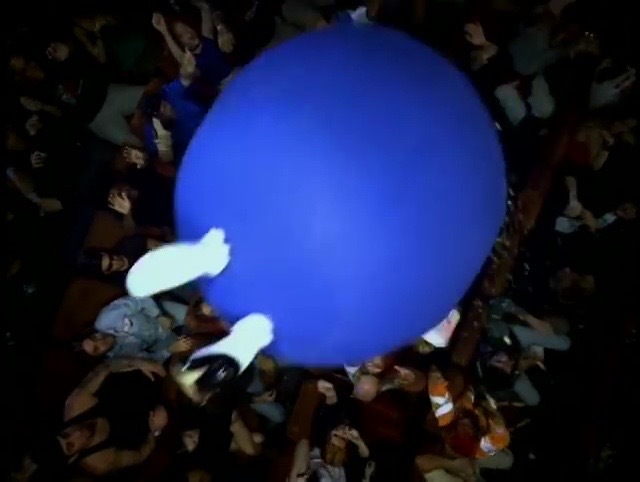 She is promptly turned into a giant blue M&M. Now the band goes into Karate Kid mode, but Mitchell is down! 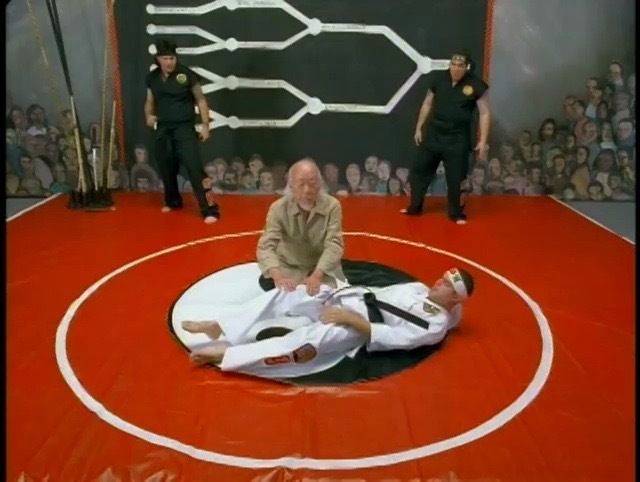 That’s no problem though because Pat Morita shows up to heal him through the power of movie magic. This causes them to flash to an Asian guy in the audience before moving on. 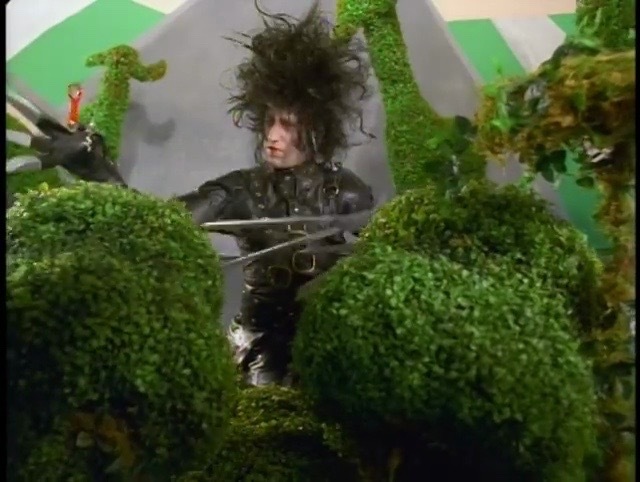 The video decides it’s time to go into the 90s with Edward Scissorhands (1990) . 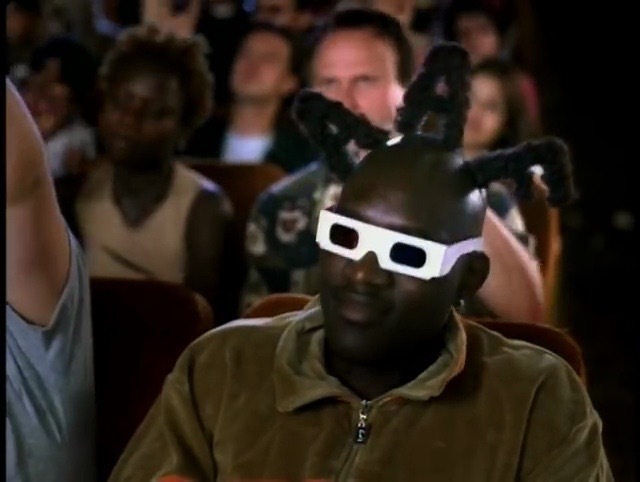 Edward spots a guy sporting an afro in the audience and decides to update him for the times by giving him the Coolio. It also spells out AAF just in case we forgot what band we were watching. 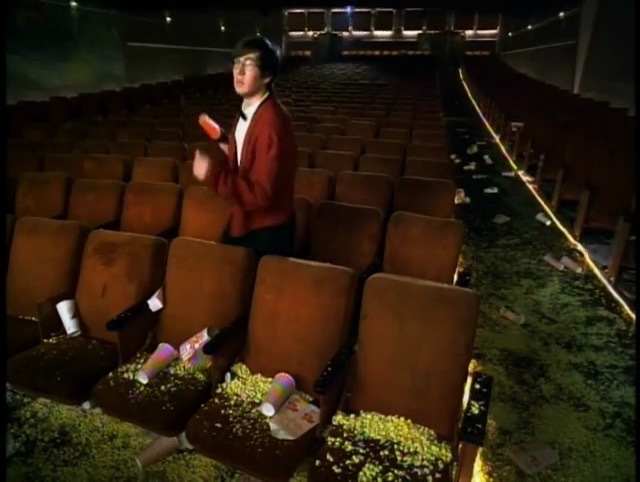 At this point, the audience decides it’s time for them all to jump into the screen. 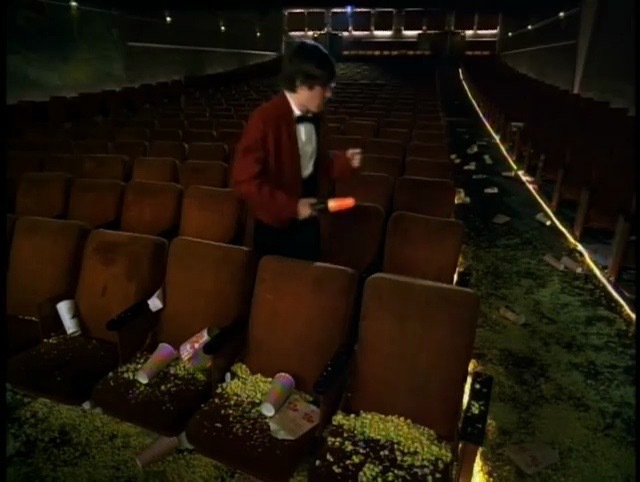 but reappears when the camera cuts back to the front of the theater. He’s directed over 100 of them. He also shot around 20 of them. Emilie Sennebogen produced the video. I can only find two music video credits for Sennebogen. Scott Free was the stylist on the video. He appears to have done around 10 music videos. Jeff Judd worked on make-up. I can only find two music video credits for him. Ben Oswald was the production manager. He’s worked as a producer, production manager, and as an associate producer on music videos. 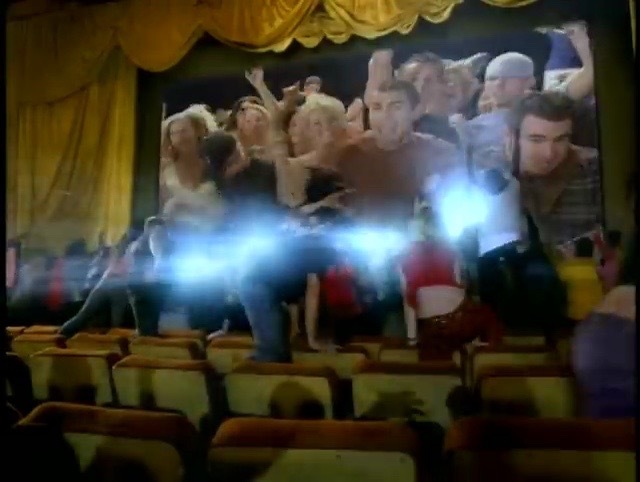 This entry was posted in music video and tagged Alien Ant Farm, Ben Oswald, Emilie Sennebogen, Jeff Judd, Marc Klasfeld, music video, Pat Morita, Scott Free. Bookmark the permalink.